DIY Tools takes your privacy very seriously. To ensure your privacy is protected we provide this notice explaining our practices in collecting and using your data. 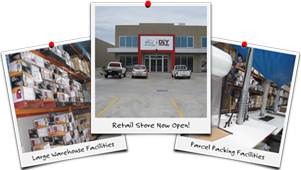 This policy covers how DIY Tools treats personal information that DIY Tools collects and receives, including information related to your past use of DIY Tools services. Personal information is information about you that is personally identifiable like your name, address, e-mail address and that is not otherwise publicly available. DIY Tools collects personal information (such as your name, address, e-mail address and postcode) when you send us an order, when you use DIY Tools services and when you sign up for our news letter. DIY Tools automatically receives and records information on our server logs from your browser, including your IP address, DIY Tools cookie information, and the page you request. DIY Tools uses information for the following general purposes: to customize the content you see, fulfil your requests for services, improve our services, contact you (when permitted or required), conduct research, and provide internal reporting. 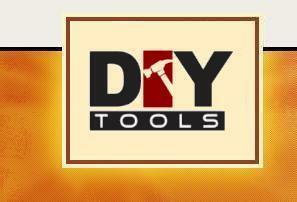 You will only receive e-mail from DIY Tools mailing lists that you have subscribed to. Permanent cookies are used to store user settings, like your preferred language, but DIY Tools does not use these. Website traffic is logged by DIY Tools. This information is used to analyse usage of the site and will not (and cannot) be used to personally identify or track visitors. DIY Tools may update this policy. We will notify you about significant changes in the way we treat personal information by sending a notice to the e-mail address specified in your DIY Tools - account or by placing a prominent notice on our site.